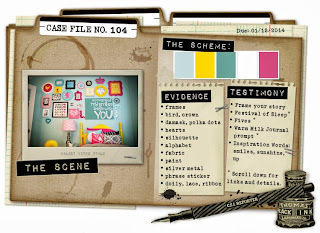 CSI mastermind Debbi Tehrani has found another intriguing Scene for us to investigate - from this image she has taken the five colours for the Scheme and inspiration for design elements, techniques and journaling. It's all about the huge surprise I got during the fabulous Hen Party which some of my lovely friends arranged for me. Kate had secretly made masks for everyone from a picture of John's face - Sallyanne distracted me indoors and when I came back outside I found myself surrounded by 20 fiancees!!! Most unnerving and very, very weird, but completely hilarious! But did I follow all the clues??? The Scheme: all the colours are there, plus some black. 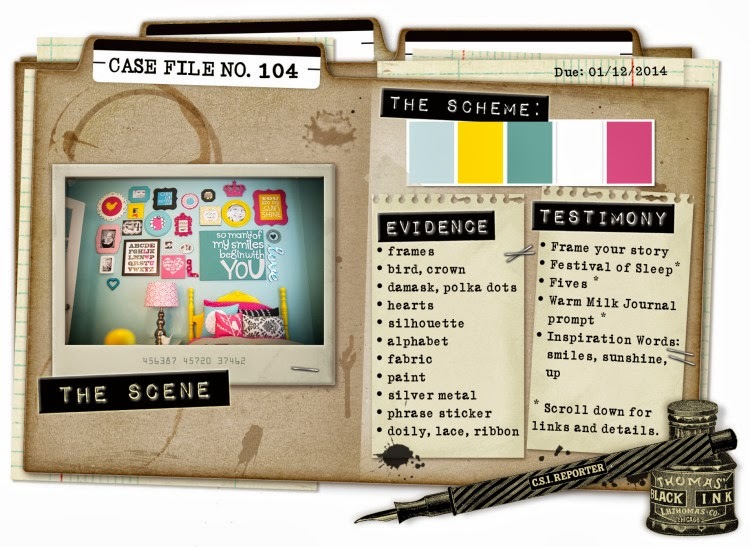 The Evidence: frames; polka dots; hearts; fabric; paint; word stickers; doily; ribbon. "I will never forget the moment when I stepped outside the front door to see twenty Johns smiling back at me ... what a day"
Here are some close-ups so you can check for clues under the magnifying glass! Splashes of Distress Paint in Picked Raspberry doodled around with black pen. Gorgeous Prima White Alpha Stickers are made of a canvas-type fabric which I've coloured with Distress Ink in Picked Raspberry - must get some more of these! I made a bit of a booboo with the word "smiling", but it was a lucky accident as I ended up writing the word again on another piece of the cardstock and popping it up on foam dots which helps to accent the key word - I may even use this idea again on purpose! Thanks for looking at my page - remember to check out the gallery over at CSI for more inspiration and why not have a go yourself? It's a very friendly place and there are some lovely prizes to be won - you have until next Sunday .... go on, you know you want to! wow, Annie, such a fun page!!! You have done a fantastic job combining the sketch and the colours! Super fun! Love the photo! 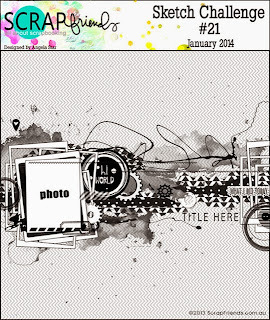 Love your page border and your layers. Fabulous! 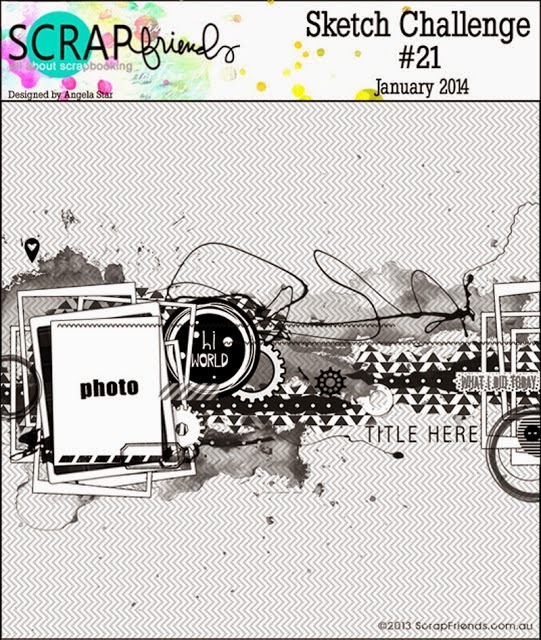 Thankyou for joining us at ScrapFriends!